We road tripped from Colorado's Bear Lake Park (operated by the city of Lakewood), through Kimball and the High Point Welcome Center. I highly recommend stopping as it's right on I-80 and has a wealth of information for all points in Nebraska. From there it was a straight shot north through the Wildcat Hills. 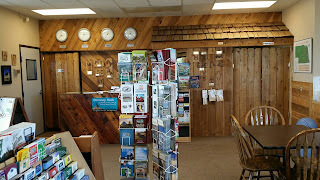 I have no idea how much time you would have to schedule on a road trip to do ALL of the things you want to do, but on this trip, we didn't have time to stop at the Visitor Center or hike the hills. That will have to be another trip. 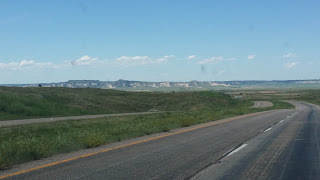 Suffice it to say that all travelers who believe Nebraska is flat should make a trip north of I-80 on Highway 41 to Scottsbluff/Gering. Our camping spot in Scottsbluff was the Riverside RV Park, which is right next to the Riverside Discovery Center. The Discovery Center consists of a Zoo, Wildlife World (reopening soon), Children's Museum and Splash Pad. Again, sadly, though our granddaughter would have LOVED it, we didn't have a chance to visit. 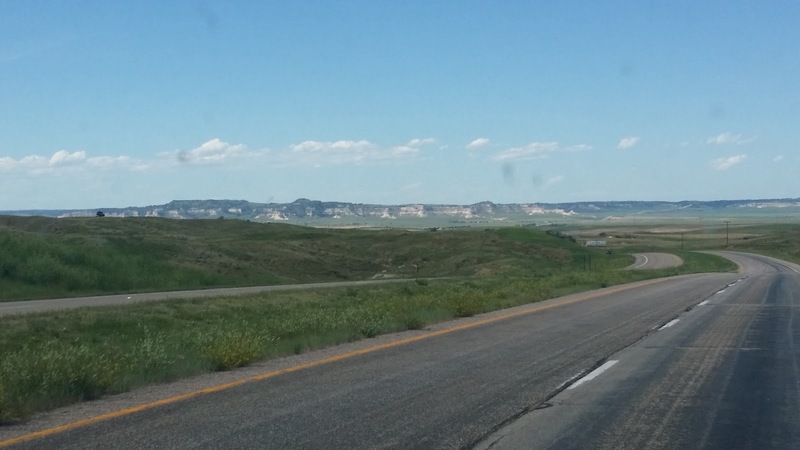 The Riverside RV Park, while very convenient to the Discovery Center, Scotts Bluff National Monument and being adjacent to a hike/bike trail along the North Platte River, wouldn't be my first choice when recommending a park in the area. The camp host was friendly and efficient, but the maintenance of the area (that includes fishing ponds and a disc golf course) leaves a lot to be desired. The foliage at the pad sites are more weeds than grass, the disc golf course is completely overgrown, as are the paths around the fishing ponds. I know with all of the high water, this has been a very bad year to try to keep up on things, but it appeared to have been neglected for far longer than just this spring. Now, on to the subject of my post! The incredible Scotts Bluff National Monument! After setting up camp, with temperatures in the 90's (and a 3 year old and six-months pregnant daughter), we decided to forego hiking the Wildcat Hills and opted instead for an evening drive up to Scottsbluff National Monument. 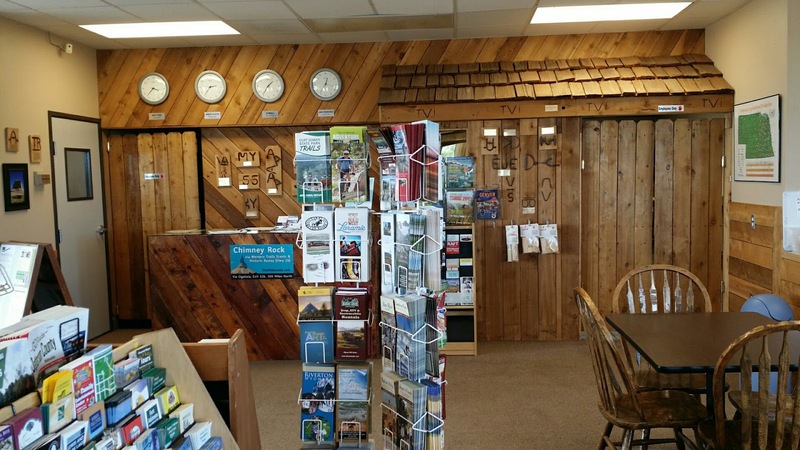 It's a quick drive from anywhere in Scottsbluff / Gering. There is a National Parks Visitor Center at the base, and a $5 per car fee to enter. We opted to drive to the top first. The road and the tunnels, really all of the man-made structures that make the park so convenient to visit were constructed in the 1930's by the CCC! The first tunnel on the drive up to the top. The winding road to the top leaves one breathless with the amazing views, and we stopped frequently to take photos, but truly, you wouldn't have to - the views from the top are just as spectacular, and you won't be impeding traffic! One of the views to the east. There are two short trails at the top, offering 360 degree views, and a connection to the longer trail that leads back to the Visitor Center. We opted for just the two short trails. Looking down at the Visitor Center, Mitchell Pass and the beginning of the drive to the top. Back at the Visitor Center, there is a short film on the history of the Bluff, lots of other information on the westward migration and the early settlers in the area. The road out front goes past several larger-than-life depictions of a wagon train and leads directly through Mitchell Pass to the west. One has to remember that during the migration period, the North Platte River looked far different than it does today, so the flat ground surrounding the monument would have been boggy, filled with quicksand and covered with water much of the time. This arrow, if you could see in the distance, points to Laramie Peak, 120 miles to the west. We could see it the day we were there. It is at the far northern end of the trail on the top. This arrow points to Chimney Rock to the east. There were so many wonderful photos I took there, but truly, you have to visit it yourself to do the view justice. Scotts Bluff National Monument is absolutely one of the "don't miss" wonders of Nebraska! Hints: Give yourself several hours to enjoy your visit. Wear comfortable shoes (hiking boots preferred). Hike ALL of the trails! Spend enough time in the Visitor Center to learn the story and see the wonderful collection of art. Visit the Legacy of the Plains Museum. WATCH FOR RATTLE SNAKES!